Sierra Leone’s Deputy Minister of Youth Affairs has assured hundreds of Sierra Leonean youth of a better and sustainable future under the New Direction. Minister Lusine Kallon was speaking over the weekend at the British Council hall in celebration of the World Youth Skills Day. “Under the New Direction, we intend to establish a special Youth Empowerment Fund to support those youth who are engaged in Small and Medium Enterprises. 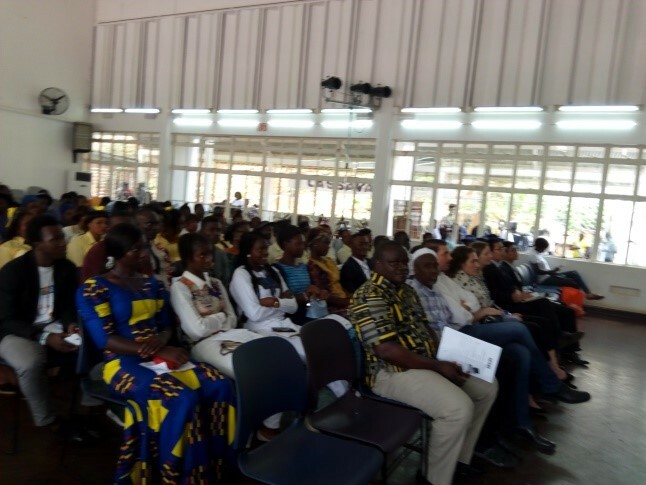 This will be done through ICT, commercial agriculture and agro processing activities,” the Deputy Minister told the motley crowd of development partners, pupils and university students. He said he was humbled to grace the occasion but particularly grateful to celebrate and raise awareness on the importance of investing in youth skills development. According to him, the United Nations General Assembly decided to set aside July 15 as a World Skills Day after a resolution on 18th December, 2014. He said the aim of the United Nations is to encourage youth to celebrate the value of acquiring skills like building; Carpentry; Plumbing; Gara Tie Dying; Electrician; Motor mechanic and other creative talents as a way to achieve personal success and fulfillment. 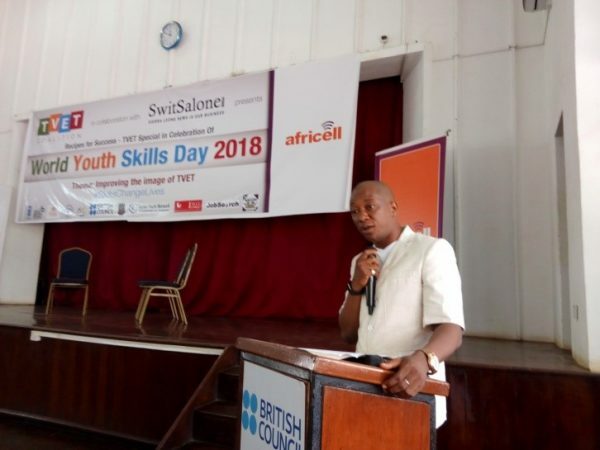 Minister Kallon noted that the youth population, aged 15-35, comprises one third of the population of Sierra Leone and youth unemployment is still a growing challenge. He attributed the cause to the past government, claiming that they did not create the required enabling environment to adequately address those challenges; rather the youth were largely used as political tools and later abandoned with no skills development. With a specific reference to the 2018 national elections, he said, youth were brain washed to vote on tribal and regional lines for the advantage of some rogue politicians. Those youth have today been neglected. He went on to say that the vision of President Julius Maada Bio is to create the enabling environment wherein the youth of the country will serve as a major pillar towards the development.